Here is this week’s Sunday Coupon Preview! 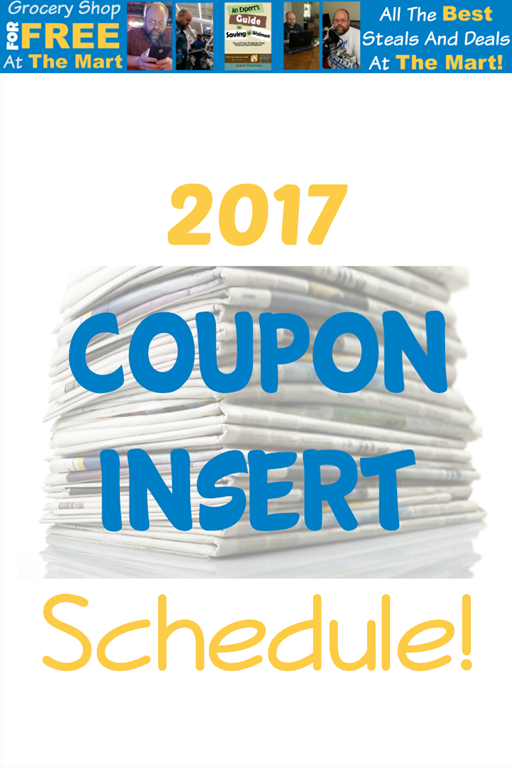 The 2017 Coupon Insert Schedule is here! Special thanks to Coupons in the News for putting this together for us. The biggest news here is there are 53 Sundays this year which means SS and RP will be taking the last 3 weeks of the year off instead of the usual 2. Whenever I post something from Coupons in the News, I feel it necessary to urge you to subscribe to their daily email. It’s a crazy good mix of couponing news and all the weird things that happen in the world of coupons. If you are into coupons, this site is a must read. You can see the 2016 schedule here and the 2015 schedule here if you are interested in that kind of thing. 11/6 Coupon Insert Preview: Great Deals on Toothpaste, Wet Ones, Suave Products and More! Colgate $2/1 optic white high impact white, total daily repair, enamel health or sensitive smart white toothpaste 3oz+ (11/19) – Should make for toothpaste for less than buck! AXE $2/1 gift set ets (12/4) – Will make for a good deal on a Christmas gift! 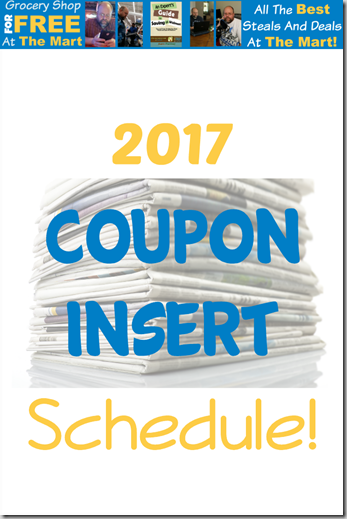 10/30 Coupon Insert Preview: New Coupons for Sweeteners, Shampoo and More! Rave Free travel size hairspray 1.5oz up to $1 (11/27) – A FREEbie! 10/23 Coupon Insert Preview: Good Deals on Rice and KY Jelly! 10/16 Sunday Coupon Preview: Great Deals on Halloween Candy and More! 10/2 Coupon Insert Preview: Great Deals on Shampoo, Candy and More! Alberto VO5 Shampoos or Conditioners .50/2 (11/13/16) – Combine with the Mobisave rebate to save more. Clorox Clean-Up, Disinfecting Wipes, Liquid Bleach, Toilet Bowl Cleaner $1.50/2 (11/2/16) – We usually only get $.50/2 coupon for this so this is a big coupon. Got2b $2/1 styling product ets (11/5) – Nice high dollar coupon for styling gel. 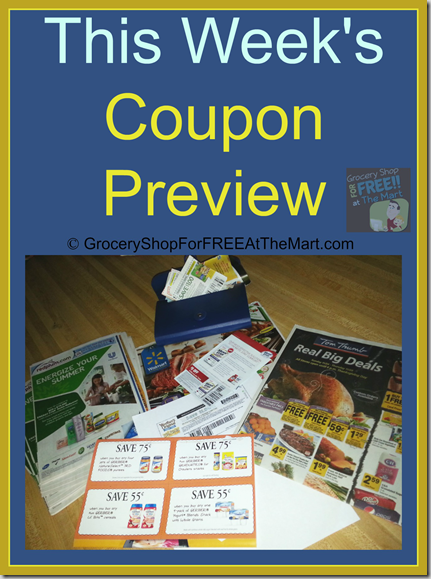 9/25 Coupon Insert Preview: Good Deals on Meat, Shampoo and More! BIC $1/2 stationery products (9/3) – 2 new school supply coupons! BIC $3/1 disposable razor pack ets (9/4) – Should make for FREE razors with overage! 7/24 Coupon Insert Preview: Great Deals on Bic Pens, Colgate Mouthwash and More! Angel Soft $.45/1 bathroom tissue (8/23) – There are usually smartphone app rebates you can stack with this.